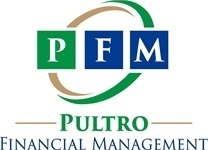 At Pultro Financial Management, our firm’s philosophy is to always be honest, ethical, and sincere. The financial world is a complex, and often misunderstood place. Financial media does more harm than good, leaving people feeling more unsure than ever before. The truth is, attaining personal wealth success isn’t easy, but it’s not impossible, either. The team at Pultro Financial Management possesses a strong desire and passion to educate individuals about how to plan for, and achieve, a secure retirement. We are on a mission to simplify and clarify personal finances for the individuals, families, and professionals we serve. The services we provide, and the guidance we offer, is designed to help people avoid common financial pitfalls and mistakes. Our desire to make a lasting impact on the lives of our clients, their families, and future generations, is what allows us to fulfill our mission as an independent firm. It’s easy to make financial decisions based on emotion, rather than logic. The truth is, personal finances are a very delicate subject, and require the knowledge of an advisor who understands what is at stake, but who can also make decisions objectively. As your financial advocate, we will support you in making logical financial decisions, rather than emotional ones.